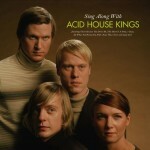 Acid House Kings is a Swedish indie pop band. It was founded in 1991 by Joakim Ödlund (also in the bands Poprace, Double Dan, and Starlet) and brothers Niklas (Red Sleeping Beauty) and Johan Angergård (Club 8, The Legends, Poprace). With the release of their first album, Pop, Look & Listen, they supposedly decided on a 10 year plan to release an album every five years to have a trilogy of albums released by the year 2002, a plan that eventually worked out exactly as scheduled. According to plan, they released Advantage Acid House Kings in 1997 and the album proved to be a huge step forward to form their trademark sound of jangly, catchy guitar oriented indie-pop. The album featured Julia Lannerheim as guest vocalist on a couple of songs, who eventually joined the band officially as a full time member in 2001. In 2002 they released their third album Mondays Are Like Tuesdays And Tuesdays Are Like Wednesdays. 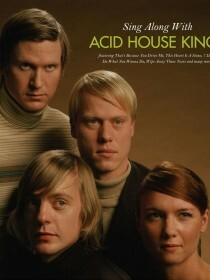 Their 4th album Sing Along With Acid House Kings was initially released as a limited edition featuring a bonus DVD consisting of instrumental karaoke versions of the complete album, accompanied by home made videos showing the band members doing various everyday tasks. The album saw the band further perfecting their sound established on the previous records.